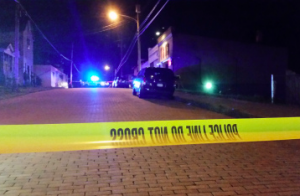 Donnell Demery Killed in Duquesne Bar Shooting; Security Lapse? Could this senseless loss of life have been prevented and are justice and compensation available to Mr. Demery’s family? Gunfire erupted following an argument inside “1313 Saloon on Kennedy Avenue” Monday, August 13, 2018, claiming the life of 55-year-old Donnell Demery, per News 4 reports. Bar and nightclub patrons have a right to feel safe and secure while on the premises. The Murray Law Firm questions the level of security provided on the property and whether this tragedy may have been prevented. What additional security measures, such as surveillance cameras, weapons screenings, bright lighting, and security patrols, were implemented by the bar owner to deter crime and protect patrons following media reports of prior criminal activity on and near the property? Generally, property owners are required to protect all those legally on the premises from any foreseeable harm. Should the facts of this matter reveal that the property owner or management failed to provide adequate security to protect those on its premises, the family of Donnell Demery may seek justice and elect to pursue legal claims for their loss. We represent our Clients on a call contingency agreement, which generally means that no fees or payments are owed until and unless we recover. Anyone seeking further information or legal representation is encouraged to contact us via e-mail (click here) or by telephone at 888.842.1616. Consultations are free and confidential.